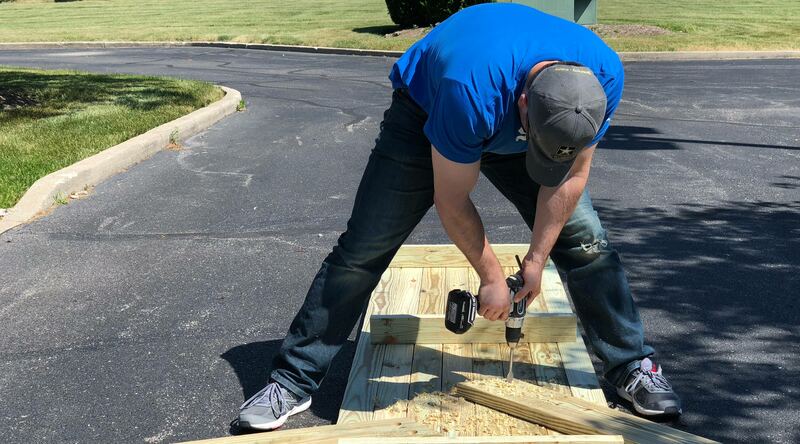 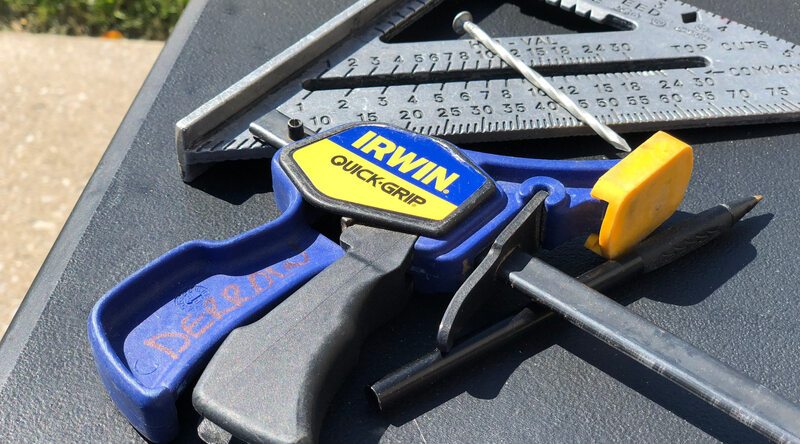 “Working with my hands helps me de-stress,” says Evan Derrow (Northwestern, 2011) as he hammers a spiral flooring nail into what will become a picnic table by the end of the day. 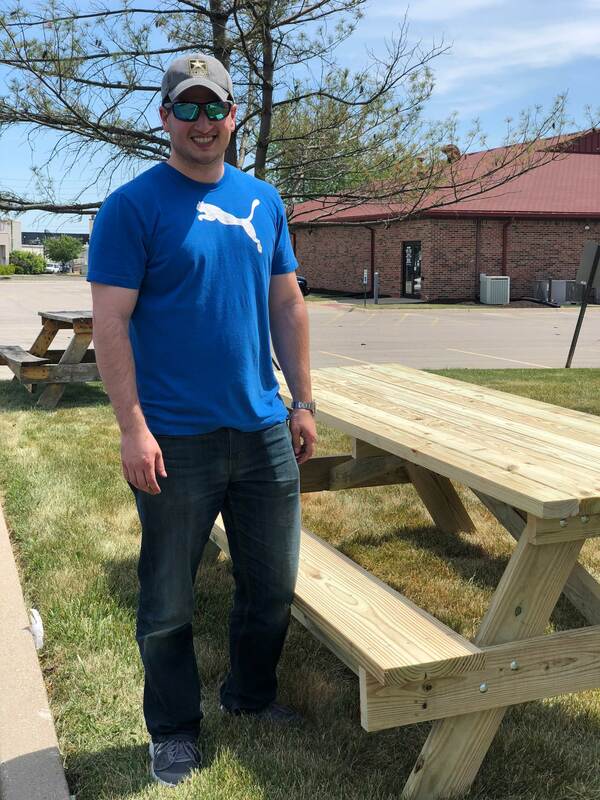 A long time wood-working hobbyist, Evan uses the tangible, gradual process of crafting tables, chairs and other furniture to help counteract the stresses of his day to day – working as a mechanical engineer for the U.S. Army. 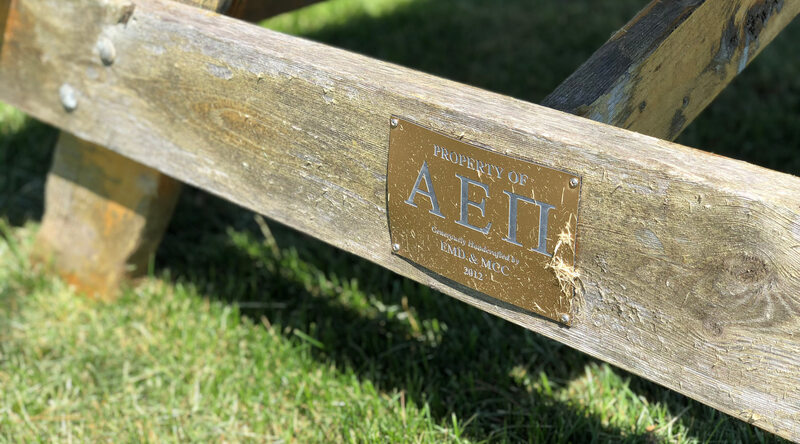 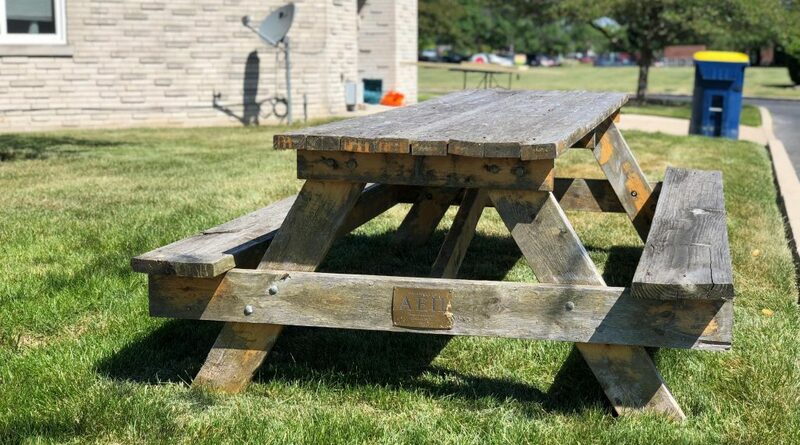 The picnic table will replace the old one that sits in the grass behind AEPi headquarters, the one he built 6 years ago during his time working for the fraternity as executive fellow. 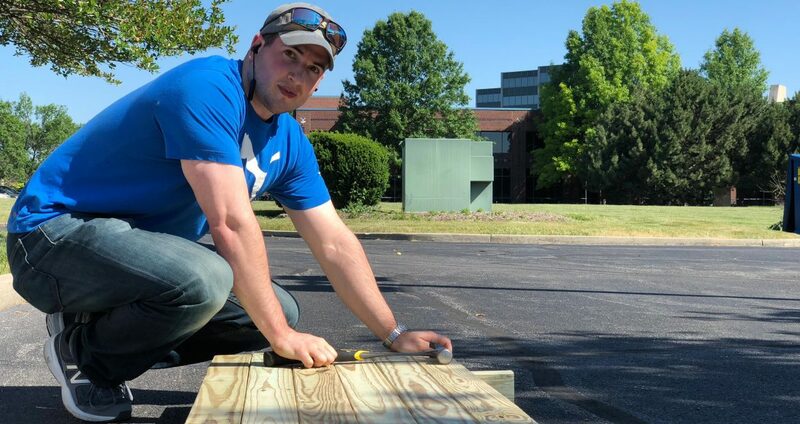 “I’ve been so happy about this project,” It’s the reason Evan drove from Baltimore to Indianapolis along with his Labradoodle Wallace, so he could use his own tools (the main reason for Evan’s visit is to train incoming staff members to use AEPi’s info systems).